Thank you for visiting .For more information, click the photo! 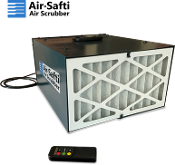 Filtering out Mold Spores, Fine and Ultra-Fine Particulate, some Disease-Causing Bacteria, Pollen, Dust, Insulation Fragments and more. 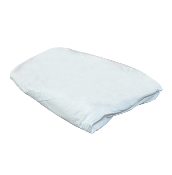 Now Available to the public - The Bio-Static Gas Generation (BSG) permeates dashboards, foam pillows, fabrics, seat cushions, cabin HVAC systems, carpets, headliners and door panels. 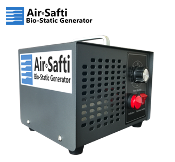 What was thought to be impossible to remediate from mold is now possible with the AirSafti Bio-Static Gas Generator. A closet full of moldy clothes could cost thousands of dollars to replace! No one wants to throw out their clothing, bedding, curtains and other valuable material items. 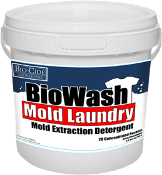 Now with Biowash Mold Extraction System you don’t have to. With just a few sprays, your drywall, wood, or concrete stains will go away. Reduce the material cost and labor of any job involving drywall water stains and water damage. Get the complete protection from mold exposure needed with the Biocide Labs Mold Safety Kit. We offer the same equipment to the general public that a professional remediation company would use to get the job done. In this kit is everything you.. 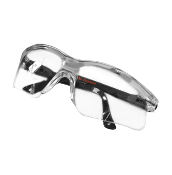 Protect your eyes with anti-scratch lenses for optimum vision and a non-slip fit to help prevent injuries. 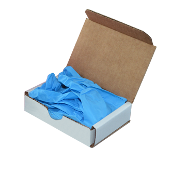 Nitrile disposable safety gloves for hand protection are great for your mold remediation. Our gloves provides superior strength to resist abrasion, tears, and are textured for a sure grip making these gloves a smart choice. 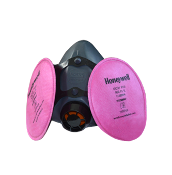 This is a Protective and disposable mold remediation suit designed to help protect skin and clothing from mold exposure. 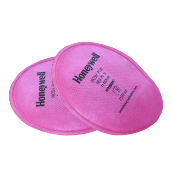 This industry standard suit is made from top of the line composite materials making it tear and puncture resistant.